"Place" shapes human identity and community. Arguing that theologies are shaped by place so no theology can be universal, "Out of Place" assesses the ways in which theology, as a discipline and a practice, is "out of place". 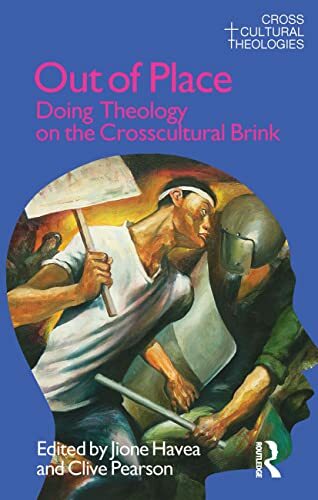 Departing from dominant theological discourse, the book argues that for theology to be transformative it must connect with "place" and engage with marginalised peoples and cultures. Ranging across Asian American theology to Tamils in the London diaspora, Australian Pentecostalism to HIV and AIDS sufferers, "Out of Place" will be of invaluable to scholars and students of sociology and religion interested in the intersection of theology and locality. Jione Havea is Lecturer in Biblical Studies at United Theological College and the School of Theology, Charles Sturt University. A native of Tonga, he has contributed to a number of journals and edited collections in the field of theology and biblical studies. Clive Pearson is Principal of United Theological College, Associate Head of School at the School of Theology and Associate Director of the Public and Contextual Theology, Charles Sturt University. He is the co-author (with Allan Davidson and Peter Lineham) of Scholarship and Fierce Sincerity: Henry D.A. Major: The Face of Anglican Modernism (Auckland: Polygraphia, 2006). He has published work on ecotheology, Christology, public theology, cross-cultural and diasporic theologies, the intersection of theology and a youth hermeneutic.